Famous Pattamangalam Guru Temple is one of the famed temples near Sivagangai District in the state of Tamilnadu, India. It is one of the main Guru Temples of Tamilnadu. 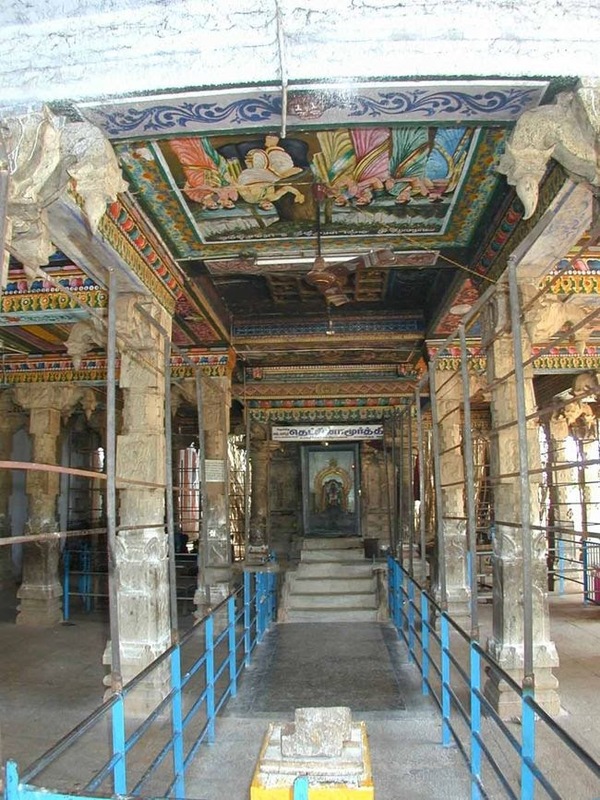 Lord Dakshinamoorthy is present in a separate shrine and is very uniquely facing East (normally he faces South) and this is the only temple where Lord Dakshinamoorthy is facing East. At the back of the Dakshinamoorthy shrine is the huge sacred banyan tree, well spread out with many hanging roots. People do 108 circumambulation of the tree to get boons. The temple was praised by Manickvasagar. The presiding deity is Lord Sundareswarar and Ambal Meenakshi amman but the temple is more popular as Guru temple. Lord was telling Shiva stories to sage Brungi and Nandi Deva. Kruthika maidens – Nidardani, Aparakendi, Dekanthi, Vardhayendhi, Amba and Thula came there and begged Lord that they too may be gifted with the Ashtama Siddhi art. Lord Shiva was reluctant. Mother Umadevi recommended favouring the Kruthika maidens. But the maidens did not listen to the teaching, their attention elsewhere, thus lost a golden opportunity of learning this rare art. Angry Shiva cursed them to become rocks in Pattamangalam. The maidens fell at His feet and sought a relief from the curse. Lord said that they would be rocks for 1000 years and He would come there from Madurai and grant the relief. The relief came in time at Pattamangai. Now the place is known as Pattamangalam. While cursing the maidens, Lord also cursed Mother Uma for Her recommendation then to the undeserved. She is gracing in the temple as Navayadi Kali. After a severe penance, Mother too was relieved of Her curse. She appears now with all smiles. In the inner space behind Lord Shiva in the sanctum sanctorum, Lord Muruga as Shanmuganatha with five heads accompanied His consorts Valli and Deivanai blesses the devotees. The temple has the Banyan tree as the sthala vruksha and the sacred tank is Pottramarai as in Mother Meenakshi temple in Madurai. Lord Dakshinamurthy shrine is outside the temple separately. Lord Dakshinamurthy graces here sitting in a Veerasana posture, smiling, fair in complexion, wearing crescent moon and kondrai flower, holding Agni in the upper right hand, Gnana Mudra in the lower right hand, a serpent in the left upper hand and placing the lower left hand on His lap. Lord Vishnu graces as a Varaha-Swine one of His avatars and Lord Brahamma as a swan. Lord Dakshinamurthy is seen in all Shiva temples facing south as a deity of Yoga and wisdom. He has His own shrine separately in just a few temples as Alangudi and Tiruvarur all facing only south. 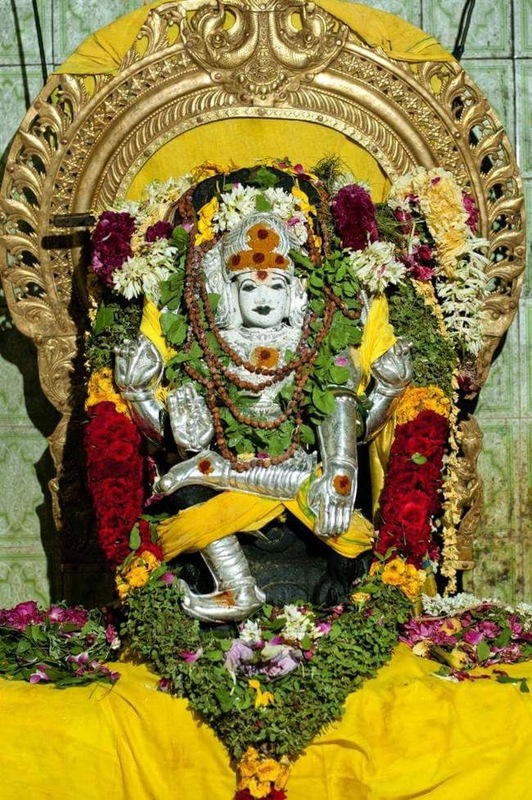 Pattamangalam in Sivaganga district is the only place in India, where He is facing East. 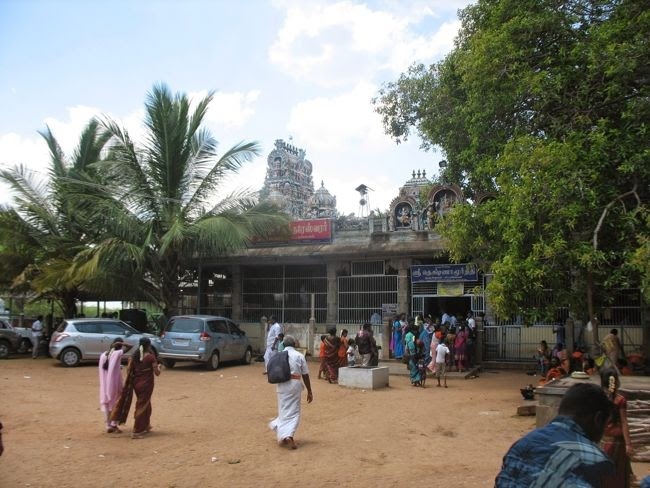 Also Pattamangalam is the place where Lord Shiva staged His third Thiruvilayadal – playing some role for the protection and benefit of His devotees. The banyan tree of the temple is worshipped with all respect. On Special Occasions timings might differ. Pattamangalam temple actually located from Sivagangai to Kallal road on the way to Karaikudi. From Sivagangai to Thiruppathur road when you have reached Mathagupatty village, then take right turn you can get the Kallal road. After you have travelled 10 kms in the road, there is a left turn go to the Pattamangalam temple. The intimation board is been positioned on the main road [Mathagupatti to Kallal] for devotees and tourists guidance. We can reach the guru temple from Chennai, Trichy from North direction. Rameswaram, Madurai also connecting to temple from Southside by the way of Sivagangai. Karaikudi to Pattamangalam, Thiruppathur to Pattamangalam is a separate route. 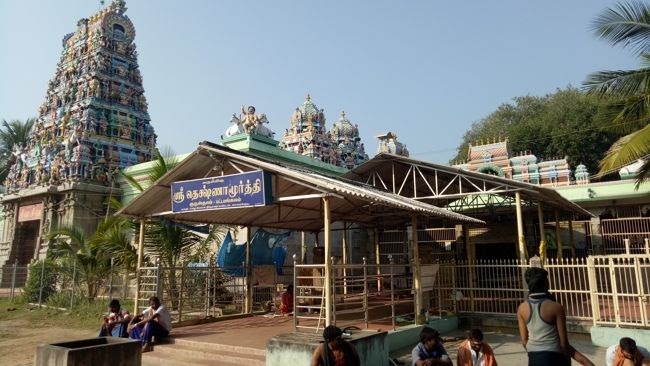 The temple is located at 9 kms South of Thiruppathur.